What Did American Faith Communities Stand For? The rise of National Socialism in Germany and the ensuing terror raised profound theological and ethical questions for people of all faiths. 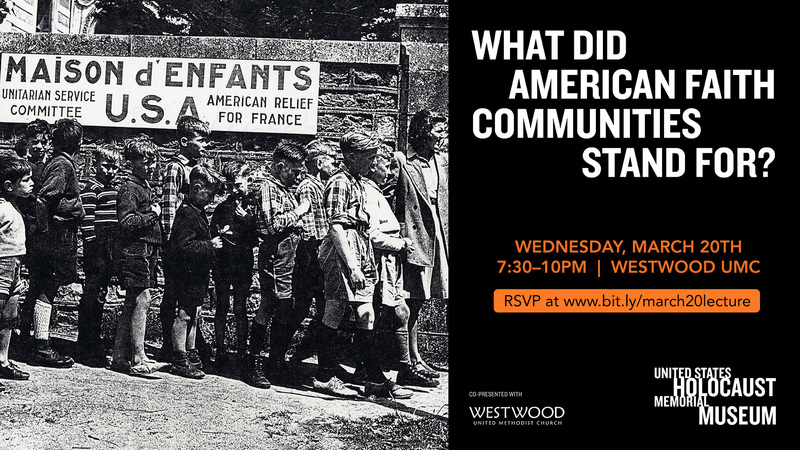 Join us for a program presented by the United States Holocaust Memorial Museum that will examine the various responses of American faith communities and how their leaders’ actions inspired others and whose legacies still live on today. Free parking is available. Join the conversation online using #USHMM. A reception will follow from 9–10pm. For more information, please contact the Western Regional Office at 310.556.3222 or western@ushmm.org.